Are you looking for a personalised gym within Fortitude Valley? At Best Practice Personal Training we engage our gym enthusiasts by providing affordable, personalised and expert gym services. Located within Valley Pool in Fortitude Valley we occupy the interior space to create a powerful yet affordable gym for our Fortitude Valley clients. If you are interested in booking a personal training session our gym trainers offer one-on-one training sessions within the Fortitude Valley gym. At Best Practice Personal Training, Gym Fortitude Valley we offer life changing programs for all clients who are committed to changing their lives. Our gym trainers have created a program which combines personal training with a structured nutrition coaching approach. This guarantees our Fortitude Valley clients will lose remarkable amounts of weight while maintaining a balanced lifestyle. 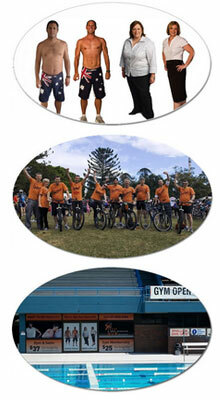 Our gym contains all the vital components required to assist with numerous forms of exercise. Whether you are looking to lose weight, tone up, increase muscle mass or improve general fitness, our gym has the equipment for you. If you are unsure what gym equipment to use to reach your optimal fitness level, arrange a consultation with one of our gym instructors. If you are interested in our gym or wish to look through our facilities, please contact Best Practice Personal Training, Gym Fortitude Valley today.